Home » Blog » Welcome to the New Website! Our original Astrology Institute website was constructed in 2005 by Debra Martelli, one of my former astrology students. Since then she has nurtured and maintained my website and has greatly helped my work. She has been an important behind-the-scenes person and I feel very lucky to have had her help during the time. However, some time last year a friend told me that my website looked “about ten years old” I knew it was time to change. 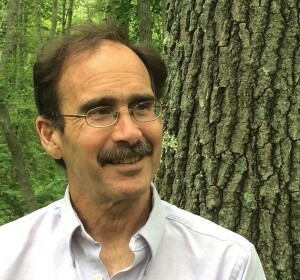 From 2005 until last year I focused on monthly newsletters in which I wrote astrology articles, profiled people of historical or contemporary interest, remarked on the conditions of the sky, and promoted my work. Previous newsletters, profiles, and articles have given me an enormous am0unt of written material to build upon. These days, with social media more in the lead, there’s more focus on shorter pieces that can be done more quickly, more room for comments and dialogue, and an ability for my attention span to pivot and simultaneously stay focused. You will easily peruse current work and update articles and profiles that are a major part of my work as an astrologer. At the top is a horizontal menus about my background, consultation and educational services. You will also see upcoming events, online or in person. As much of my astrological work tries to incorporate the traditional into the modern, now much of my time and energy is spent trying to accommodate how I do my work with new conditions of outreach and publicity. Here is the first of a series of blog posts, hopefully a long series. The first objective is to respond to events in the larger world and to update my own work on a weekly basis. make available what will be coming through my web page, especially updates of previous profiles and articles. I begin by highlighting an essay I wrote two years ago, “Untying the Knots of the Twelve-Letter Alphabet” in which I take on the astrology I first learned twenty-five years ago in which there was a thematic correspondence between houses, signs, and planets. Even as a new astrology student I felt uncomfortable with this correspondence; later, learning about Hellenistic and Medieval astrology, I found alternatives. As the years passed, I began to feel more strongly that an alignment of planets, signs, and houses hindered our understanding of all three factors. I later wrote some articles in the same vein, making distinctions between outer planets and the signs they allegedly govern. I wrote on Aquarius and Uranus in early 2015; last autumn my focus was on Scorpio and Pisces and Pluto and Neptune. These articles, taken together, give voice to the reservations I’ve accumulated about how astrology is often taught and practiced in our contemporary world. All this sounds pretty rebellious or it is traditionalist, or is it a combination of the two? 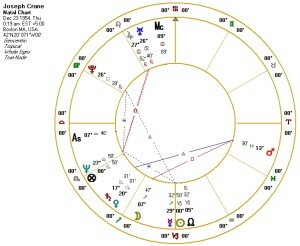 Here’s my chart (click chart to view a larger version) for those who are curious. 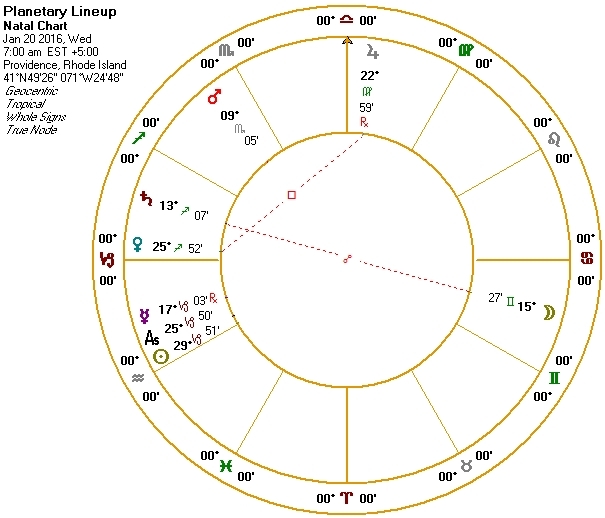 If you could look at my Jupiter-Uranus conjunction in the tenth place of my chart you can see some of the individualistic imperiousness of the strange planet outside the visible solar system. However, many people have noted my Capricorn Sun and strong Saturn-Venus conjunction (Venus governing my Ascendant in Libra) and that makes me a more traditional and conventional person. Perhaps. How does a “Capricorn” rebel? There’s the example of Ted Cruz who — unfortunately for me — has the same birthday as me but in a different year. Maybe he’s not such a good example. But there’s David Bowie, the subject of my next profile, who was born (or chose to be born) with three inner planets in Capricorn in the Twelfth House and an impressive line-up in the sign Leo in the Seventh. Originally I was to write a blog post on Bowie but the person and the chart were just too interesting not to give it the treatment the matter deserves. Instead, for all you morning people out there, here’s a look at the recent planetary lineup much as it would have appeared in the sky. 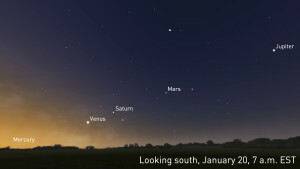 The Sun is about to rise and will soon make the five starry planets disappear into its beams. All would be visible in the predawn hours except ever-elusive Mercury who would fade into the sun’s rays about at the same time it becomes visible. You can also see how the planet form a curve that sweeps across the sky — that curve is the ecliptic that is usually divided into the Twelve Signs of the Zodiac and thirty degrees of each sign to make a full circle. 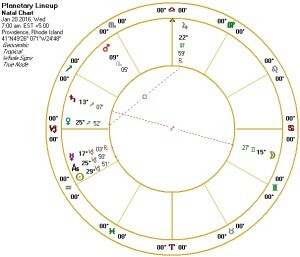 When we look at an astrological chart we are of course looking at an abstraction that uses the circle of the ecliptic to mark the location of the planets in its relationship to the degree of the zodiac that ascends. If you are not quite sure of this, do spend a few minutes looking at the picture above (from the Weather Channel, of course) and an astrological chart of the same moment using the Solar Fire program. There will be much more to say about these planets over the next several weeks. Hope to see you here! 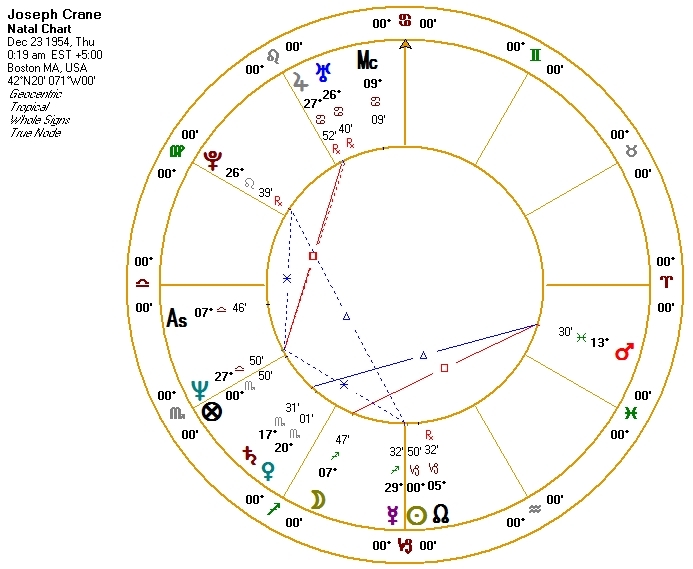 Seeing your chart (almost to the day 3 months later in the year than mine – though I am a day-birth), I now better understand why it was that your books (An Astrological Guide, and Our Astrological Roots), after a period of working with medieval, triggered me into the Hellenistic approach. Thank you for that and those! This is really great. It makes it so much easier to understand.